SIMI VALLEY, Calif. — As a Reagan White House lawyer, John Roberts urged the administration to dodge a proposal from the family of Raoul Wallenberg to pressure the Soviets on what they knew about the Swedish diplomat’s disappearance at the end of World War II. Documents housed at the Ronald Reagan Presidential Library reveal the role of the Supreme Court nominee in one of the most celebrated and mysterious chapters from the war. In late 1983, the family’s lawyer urged the Reagan administration to invoke a 19th-century law giving the president the power to ”use such means … necessary and proper” to seek the release of citizens seized by foreign governments. At the time some believed that Wallenberg, an honorary U.S. citizen, was languishing in a Soviet prison. The Soviets said he died in 1947. President Reagan previously had called on the Soviets to account for Wallenberg, who is credited with saving tens of thousands of Hungarian Jews from Hitler’s death camps. But Roberts advised the White House to sidestep the proposal to use the old law for leverage with the Soviets. ”The Reagan administration had a unique opportunity to rescue Wallenberg at that very moment. I had credible evidence that Wallenberg was alive and well at that time,” said Wolff, who worked in the Justice Department during the Kennedy administration. Roberts ”took not only an expedient response, but a cowardly response,” Wolff said in an interview. But Marc Stern, general counsel of the American Jewish Congress, said Roberts’ memo was ”responsible” given questions about applicability of the law to the Wallenberg case. 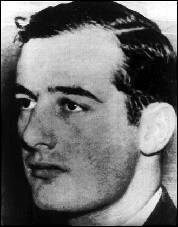 Wallenberg, who would be 93 now, is believed to have been taken into custody by the Soviet army after the liberation of Hungary. He disappeared on Jan. 17, 1945, and the Kremlin’s assertion that he died in 1947 long has been disputed. The issue was particularly sensitive in the Reagan White House. Early in his presidency, Reagan signed a resolution awarding Wallenberg one of the nation’s rarest honors, honorary citizenship, a distinction he shares with Winston Churchill. At the time the president committed the nation to do ”everything in our power” to determine Wallenberg’s fate, citing ”evidence” that he remained in a Soviet prison. In a Nov. 7, 1983, letter, Wolff told Reagan that Wallenberg’s status as an honorary citizen allowed the president to pursue ”new action” with the Soviets. Under the 1868 law, a president is required to seek the release of any citizen who ”has been unjustly deprived of his liberty by … any foreign government.” The law dates to a time when several countries refused to recognize the citizenship of naturalized Americans traveling overseas, and repatriated them against their will. Roberts, in his Jan. 25, 1984, memo to White House counsel Fred Fielding, recommended ”essentially dodging” the question of whether the century-old law could be put to use on behalf of the missing diplomat. Among his concerns, Roberts feared the law would not stand up in court. At one point, however, he acknowledged it might apply to the Wallenberg case, deriding a State Department analysis that it did not. A draft of the White House letter to Wolff, included in records at the Reagan library, never directly addressed his proposal to use the 19th century law. *Swedish diplomat and World War II hero Raoul Wallenberg, who is credited with saving tens of thousands of Jews from Hitler’s death camps is shown in this undated handout photo. As a Reagan White House lawyer, John Roberts urged the administration to dodge a proposal from the family of Wallenberg that sought to bring new pressure on the Soviets to disclose what became of the heroic Swedish diplomat.